“Average weekly working hours in the three factories probed by CLW are approximately 66 hours, 67 hours, and 69 hours,” CLW says—this, despite China’s 49-hour statutory limit, and Apple’s own Supplier Code of Conduct limiting suppliers to a 60-hour workweek. CLW claims further that its undercover investigators found workers “were forced to sign forms indicating that their overtime hours were less than” they had actually worked. Reports from The Wall Street Journal and elsewhere indicated that Apple turned to Pegatron earlier this year to manufacture as-yet unannounced and unreleased lower cost iPhones. Pegatron had previously made a small subset of iPhones in 2011, and began manufacturing the iPad mini in 2012, the Journal reports. Of course, Pegatron is an independent supplier, not an Apple subsidiary; CLW likely highlights Apple in its reports because of both Apple’s ability to garner headlines and the company’s stated commitments to improving worker conditions in China. 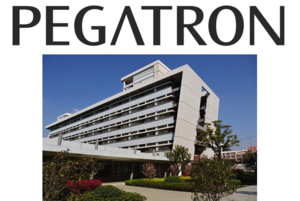 But Pegatron manufactures electronics for other large American companies, too; among those companies are Google, Microsoft, Hewlett-Packard, and Dell. None of those companies—including Apple—responded immediately to Macworld’s request for comment on CLW’s report.